SaferVPN is an Israel-based VPN with more than 700 servers, operating in 34 countries. It was first established in 2013 to protect users against spying by unauthorized sites and parties. Based on its track record, it’s capable of unblocking web content, providing better privacy than its competitors, and relatively better security. 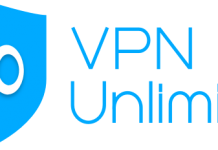 This article will review the qualities that make this VPN outstanding, including pricing and functionality. Based on this analysis of the VPN’s strengths and weaknesses, you can make an informed decision on whether it suits you or not. SaferVPN uses an effortless application that can run on Windows 10, Linux, Android, and iOS. Automatic Wi-Fi security, which is not common in many VPNs, is available in SaferVPN. Although it’s often overlooked, this feature can protect you in case you connect to unsecured Wi-Fi networks. When you connect to such networks, SaferVPN detects the unsafe network and connects automatically. That’s a valuable feature, especially if you’re in a rush or easily forget to connect your VPN. Another useful feature in SaferVPN is torrenting, which supports peer to peer (P2P) file sharing. Combined with the VPN’s unlimited uploads, downloads, and bandwidths, you’re sure to get all the content you would ever want online. Plus, your safety is guaranteed with such a VPN. 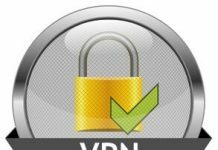 The VPN has an Internet kill switch to halt all Internet traffic anytime your VPN connection goes down. This prevents information from leaking to other parties. The internet kill switch is available for both desktop and mobile apps. SaferVPN has something called Unblock the Web that enables you to unblock the web literally. In 2016, Unblock the Web allowed Bangladeshi bloggers to share their frustration with the rest of the world when the government blocked Internet access to people within its borders. The same case had happened earlier in 2014 in Turkey, where the government blocked Twitter. You can download a Chrome extension on your device to unblock a protected website. SaferVPN allows you to unblock such video streaming sites as Netflix. Denmark, Hungary, and Romania are some of the countries where you can use SaferVPN to stream videos on Netflix. To unblock Netflix, you should change your desktop’s IPv4 settings. However, SaferVPN cannot unblock Netflix on Android. This is because the Netflix mobile app can override the device’s DNS settings to reveal your exact location. SaferVPN comes in three plans: basic, premium and business plan. This plan comes at the cost of $8.99 a month. However, when you subscribe yearly for the basic plan, you get a discount of $3 a month, which brings the cost down to $5.99. If you subscribe for this plan and pay for two years, you pay just $3.49 per month. Clearly, the longer term plan is a far better deal than the rest. Besides, the basic plan allows you to connect up to two devices. The premium plan allows connection of up to 5 devices. And the best part is you can get a 24-hour free trial. This trial is entirely different from what you can expect with other VPN providers since you don’t link your credit card to the account. To sign up, you only provide your email address. That’s definitely a great way actually to test the product before making your purchase. SaferVPN is one of the easiest VPNs to use. At just 9.27 megabytes, it occupies a negligible percentage of your device’s storage. It’s a straightforward process: downloading, installing, signing up, and then logging in. The fantastic part about it is once you log in SaferVPN connects automatically whenever you connect your device to the Internet. SaferVPN does not log users’ source IP addresses. 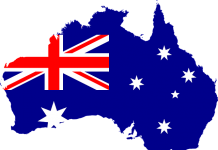 This protects users in regions where activities such as torrenting are illegal. Note that, unlike its predecessor, the new update of SaferVPN protects users against DNS leaks. However, you should use private DNS since it guarantees you full protection, unlike the Google DNS which is highly volatile. Based on all that the VPN can do, let’s see how it actually performs on different devices. The SaferVPN’s left side comprises of countries where you want to be located. Any country you pick moves to the top in the list. The downside of the desktop app is that you cannot select a city in any of the states. When you close the main app window, SaferVPN minimizes back to the system tray. This gives you distraction-free use of your device while allowing you convenient access to the VPN whenever you need it. You can use the settings menu to change the protocol, which enables you to avoid the default automatic connections. The settings menu also contains other features such as startup behavior, VPN kill switch and Wi-Fi protection. Users can quickly test the SaferVPN’s download and upload speeds by clicking on the bottom icon in the settings menu. Unfortunately, you might experience stalling of the app once it disconnects from the server. Once the app disconnects from the server, you may have to reload it to get your connection back. Although the app is quite good, an annoying thing about it is the promotional notifications to upgrade and refer friends which pop up from time to time. The mobile app performs almost similar to the desktop app. You’ll get a list of servers in a side menu. Since the app does not show the flag icons, you can use the search option to find the country you are looking for. There are two main advantages of the mobile app over the desktop app. First, the mobile app does not stall on many Android devices. Second, this app doesn’t have any ad popups. The Refer a Friend and Upgrade functions are hidden in the settings menu and can only be accessed after you expand the menu. Apart from the Desktop and Mobile apps, SaferVPN offers a Chrome extension where all your web searches are protected from unauthorized access. You can download the extension for free then use an account to enable it. 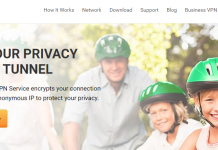 SaferVPN has a uniform design and theme for both the app and Chrome extension. The only limiting factor with the Chrome extension is that it only protects your browser traffic. Based on all these features, here are the good and bad things about SaferVPN. SaferVPN is super-fast. It has the capacity of reaching speeds of more than 78 Mbps on the EU servers. The fast download speeds can be attributed to the VPN’s 700 servers in different parts of the world. 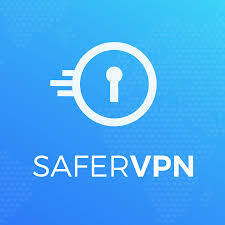 SaferVPN is among the most user-friendly VPNs in the market. It takes less than 5 minutes from purchase to use. This is made possible by its easy-to-use interface. You can also change your device’s settings without much hassle. The fast responsiveness of any command is magnificent. SaferVPN has competent customer service. They answer all queries directed to them almost promptly. Their support team has automated answers to most common questions, which makes their response very fast. You can even get responses in less than a minute after sending a query. This is clearly a great way of handling customers. SaferVPN’s premium plan offers five connections. This means you can connect up to five devices. It comes at a pocket-friendly price, with more reliability. That shows that the VPN provider is focused on ensuring that their customer experience is something to write home about. The Kill Switch is a vital feature in any VPN. Sadly, many VPNs lack it. As a result, data loss occurs in case of an Internet outage. Such Internet outages occur mostly in Wi-Fi routers when the power goes off. SaferVPN’s Kill Switch protects users’ location and data from getting to other parties. Many people love SaferVPN since it supports the unblocking of the biggest video streaming website, Netflix. Although not all regions support this service, it works on roughly 30% of the areas available. These include “US streaming” and the Netherlands. You can use servers in these regions to unblock Netflix with ease. One of the biggest cons of using SaferVPN is the limited torrenting it provides. It is absurd to have so many servers, yet it cannot offer unlimited torrenting. It would have been reasonable if SaferVPN used some of its servers purposely for P2P file sharing. But, only one out of 700 servers is used for torrenting. What would happen if it broke down? If your primary focus is torrenting, then SaferVPN might not provide as much access as you need. China is considered one of the worst countries in terms of censoring information. Hence, it’s a big blow that SaferVPN does not operate in such a populous country. That’s unfortunate since it’s the work of VPN providers like SaferVPN to enable media outlets to communicate with the rest of the world. If you’re planning to visit the People’s Republic of China, you’ll need another alternative. If you want to perform complex tasks, this might not be the ideal VPN for you. 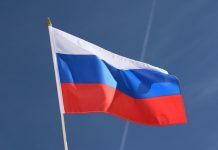 The company needs to work on its torrenting services, as well as improving its logging policy if it is to command the VPN market. When you compare SaferVPN to other VPNs, you’ll notice that there is room for improvement. Best alternatives to safer VPN would be NordVPN that provides you more than 5000 servers, strictly no logging policy, and robust security features, They currently have a limited special offer for $2.99/month. 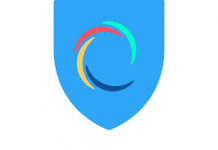 If you’re looking for a fast and straightforward VPN, SaferVPN is the ideal choice. Its easy setup, installation, and use make this VPN worth every penny spend. Despite the copy-paste answers given by its bots, the response time is fantastic. Above all, SaferVPN is better priced than its competitors.